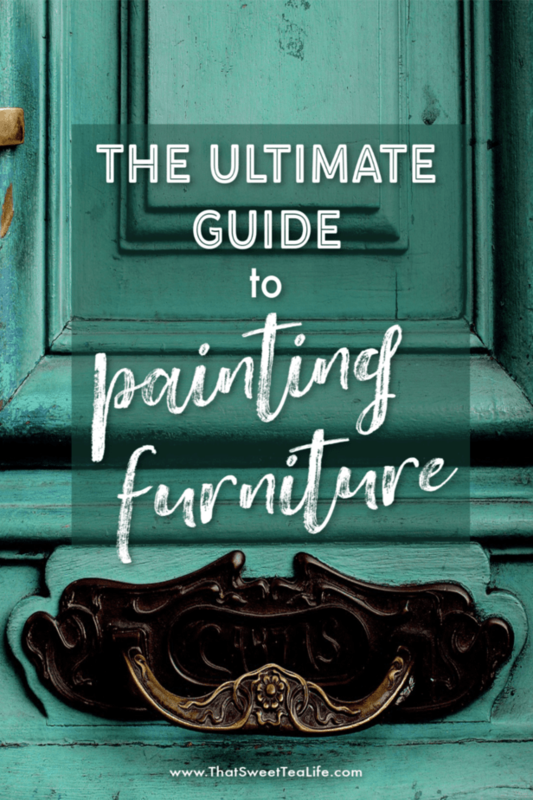 The Ultimate Guide to Painting Furniture that Wows! Are you ready to learn how to create those looks you love? Painting furniture doesn’t have to be big hard and scary! The hardest part is knowing what to use and when to use it! Im going to answer all the questions you don’t even know you have! 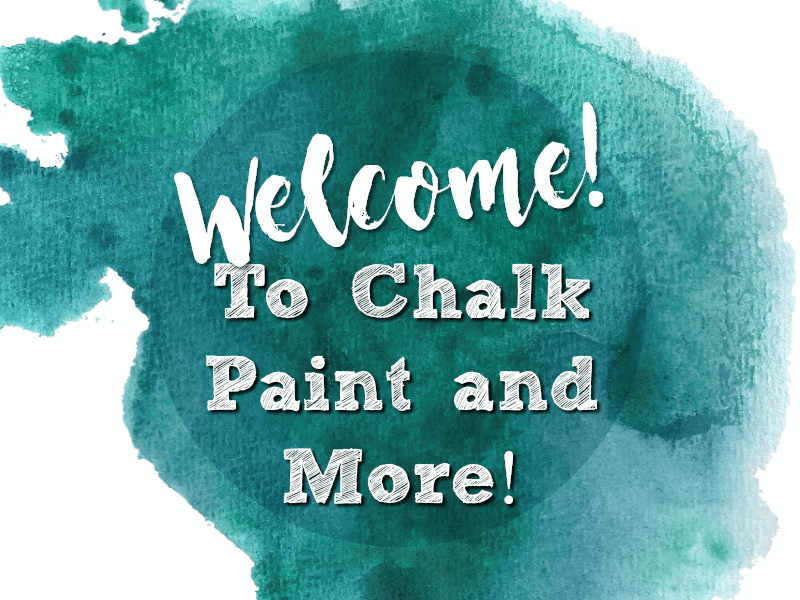 Join Chalk Paint and More Facebook Group! 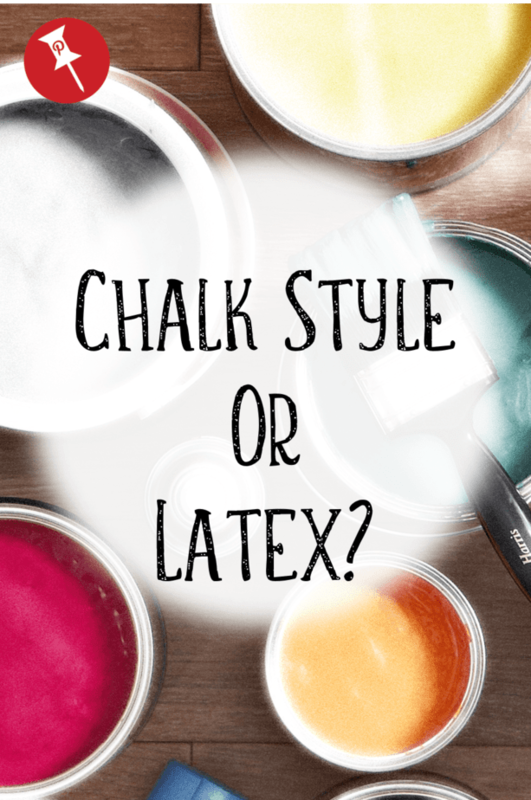 Should I use chalk paint or latex? How do I paint wood furniture? 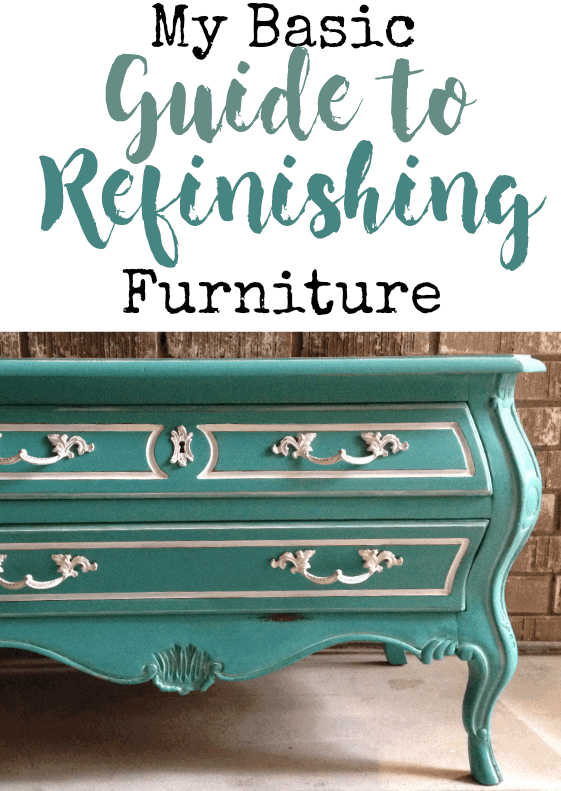 If you are a beginner you probably want to start with my Basic Refinishing Guide This is a readable, savable, printable, downloadable guide that will tell you step by step all the basics you NEED to know! 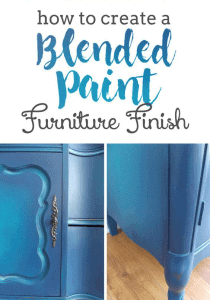 You’re probably wondering, What kind of paint can you use of furniture without sanding? Or can you paint over varnished wood without sanding? I talk through these as well! How do I seal painted furniture? Now I think one of the first things many ask about are wax. One of the more popular paint brands is Annie Sloan Chalk Paint, and generally the go to method for sealing the paint is to wax it using the Annie Sloan Brand Wax. 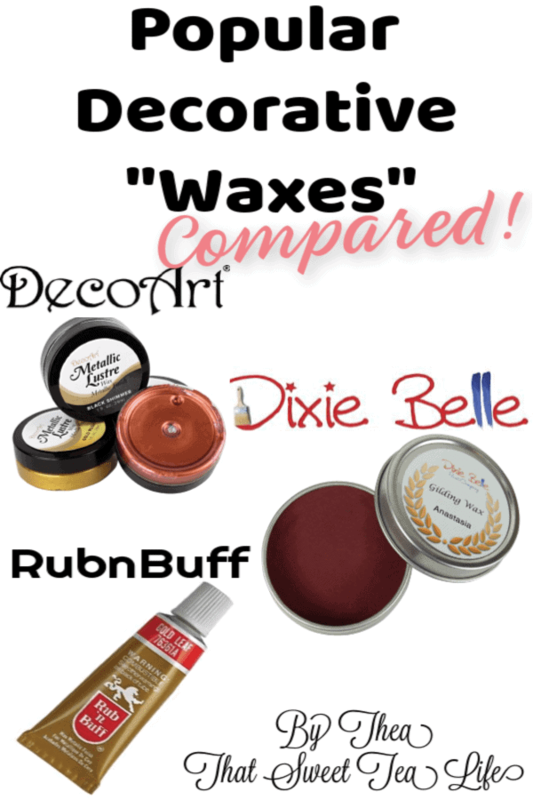 BUT there are SO MANY misconceptions about wax! So, I decided to put this together to help you understand just whether or not you should use it yourself. Read Wax or Nah where I discuss some of the most widely used options. Can you paint dark furniture white? The next thing that typically comes up is painting white furniture. As with the shabby chic and farmhouse movements most often we want to turn that brown wood white! HOWEVER, as we begin painting furniture we find there are SO many things that can tend to arise when painting white furniture like bleed and yellowing. 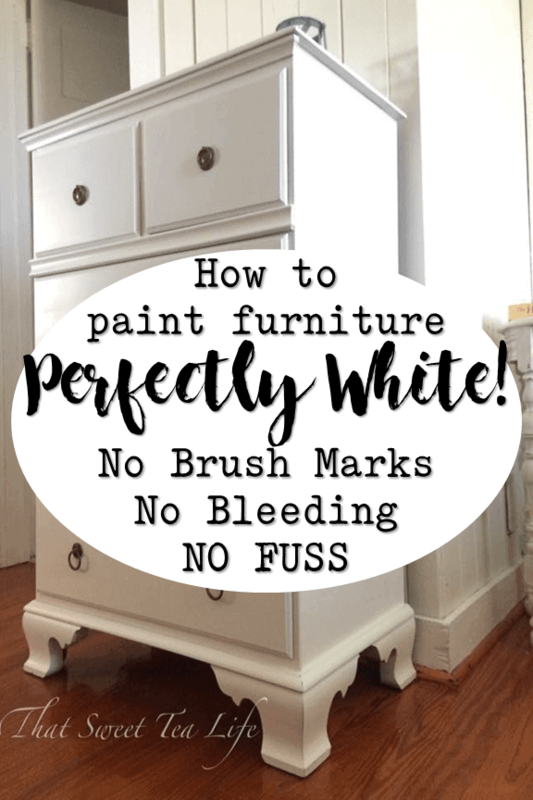 Because of that I wrote Painting White Furniture: The Best No Fail Method! What do I use to accent and shade? Decorative gilding waxes have long been used to take our art to the next level! But which one do you use?? I have compared a few of the most popular ones for you! While painting furniture can be fun, its more fun when you begin to develop techniques you enjoy using. Blending paint has become all the rage and provides us so much more creative freedom while painting! We can create depth and dimension like never before with single color applications. 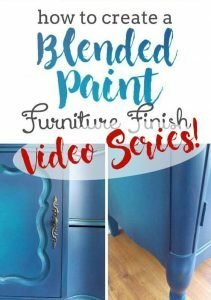 While I wrote about Blending Paint on Furniture in You’re Blended Paint Inspiration I recorded everything LIVE on Facebook at my page “Thea at That Sweet Tea Life” and uploaded the entire walk through paint blending tutorial in Blending the Moody Blues Video Series. How do you make paint look distressed? Once we get the hang of putting paint on, we begin to wonder how to take it off! How do you antique painted furniture? (Better yet, how do you antique it without just making it look dirty?) Ive begun having a lot of fun with Rustic Glam styles of painting and I cover lots of my favorite techniques in each of these tutorials. 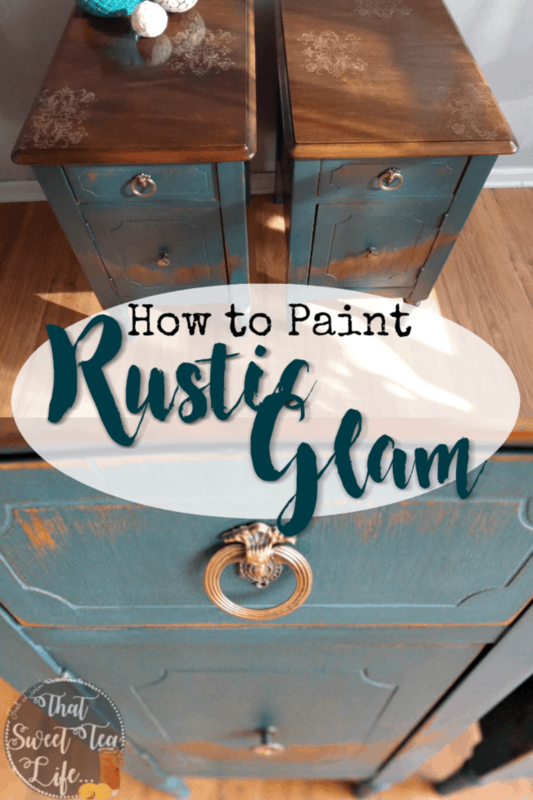 Rustic Paint Finish: Rustic Glam! 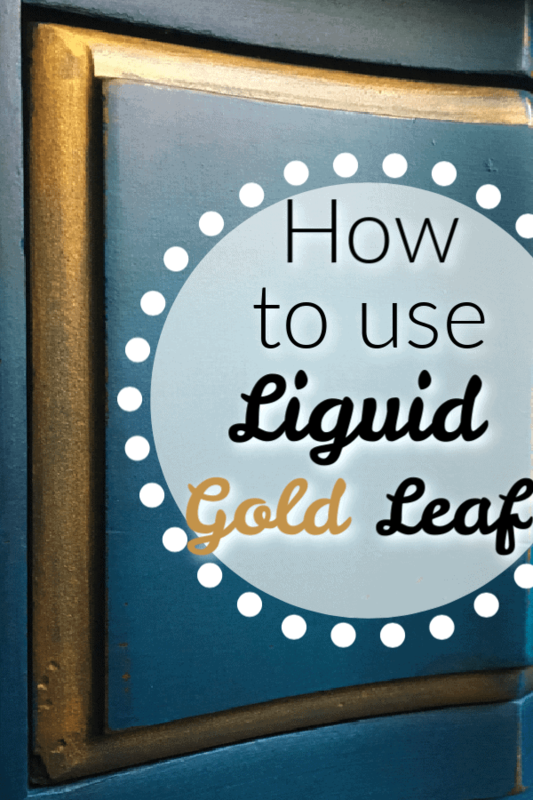 What is the best gold for painted furniture? 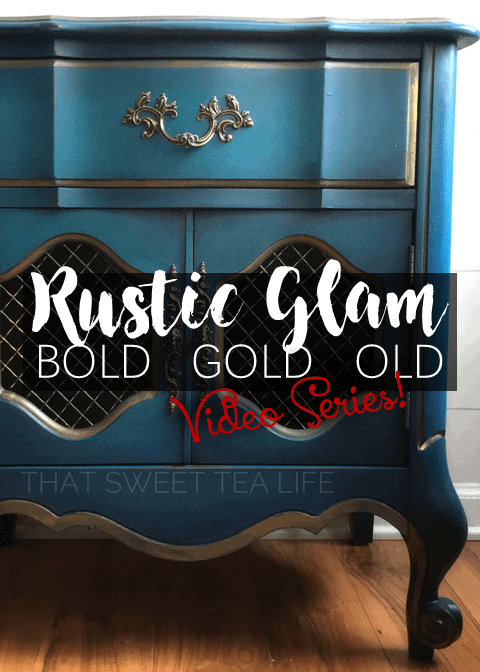 With rustic glam we explore how to add gold to your paint finish. There are so many ways to do this but I tell you all about my favorite no fail method for adding gold embellishment (and without making a mess!) The video shows you how easy it is and everything you need to know about it!